The Association of Tea Bloggers is hosting a series of blog carnivals, case which are round-ups of posts centered around one theme and published on the same day. For more details on the tea blog carnival project read this post on the ATB web site. Brett of Black Dragon Tea Bar, finding the specialness in a somewhat unexpected tea tool, wrote about a beautiful, elegant, rustic and functional wooden tea strainer. I wrote about a marvelous, and somewhat mysterious, Yixing clay teapot in the shape of a hand. Gingko of Life In Teacup wrote about the beautiful simplicity of brewing in a glass mug, and of the often humble and unexpected places that mugs of this type can be acquired. Katrina of Tea Pages came to the conclusion that her favorite tea ware encompasses an entire category: tea wares made of Yixing clay. 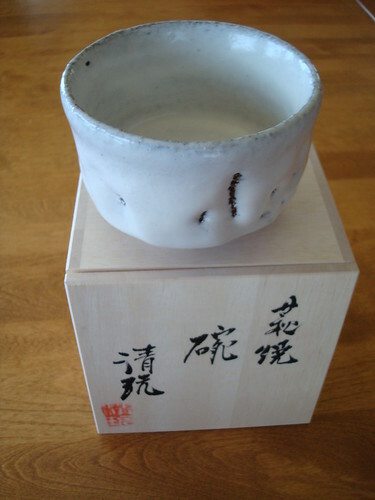 Adam of The Sip Tip, after his assertion that the favorite piece of tea ware is always the most recently acquired, goes into more detail regarding his love of Hagi Yaki, a branch of Japanese ceramics. 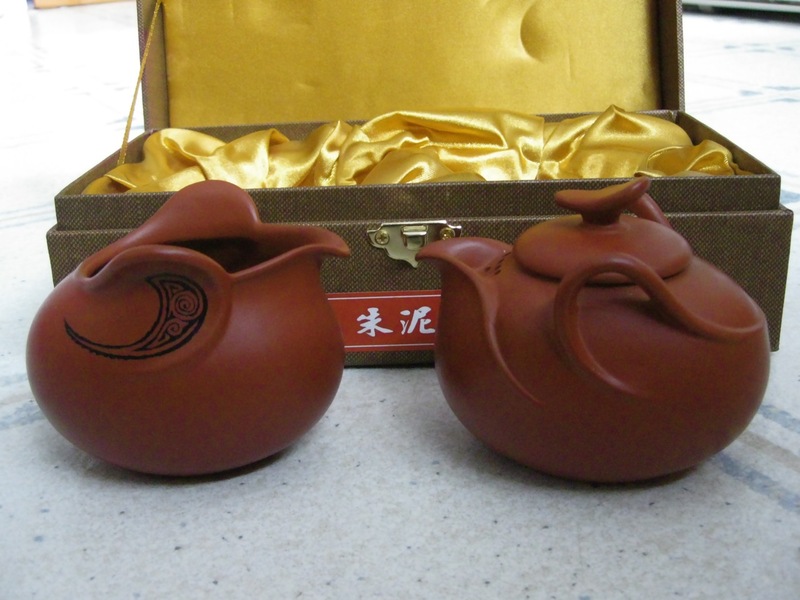 Jason of Walker Tea Review wrote about a prized antique Yixing teapot which was given to him and his wife by a friend in Shanghai. 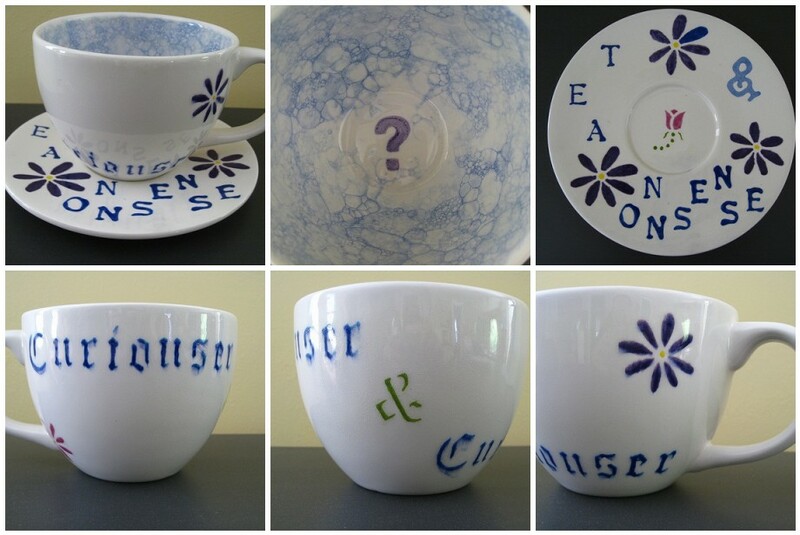 Kay of That Pour Girl wrote about an Alice in Wonderland themed teacup and saucer that she painted herself.